Colorful, chalice-shaped spathes bloom early to midsummer. 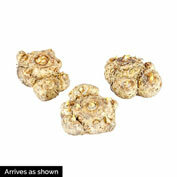 Easy-to-grow, these distinct, long-lasting blooms are prized in bouquets. Blooms on 15- to 30-in. stems. Our choice of colors. Plant in full sun to partial shade. 12-14 cm bulbs. Zones 8-10. 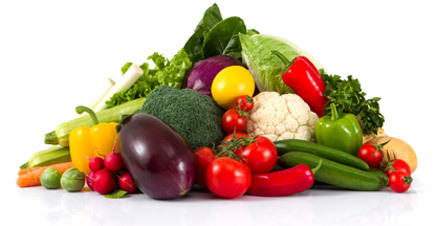 Foliage: Varies depending on variety. Flower Form: Chalice-shaped spathes in mixed flower colors. Long lasting blooms. Pruning: Remove spent flower stems to tidy up the plants for the rest of the growing season. After flowering. 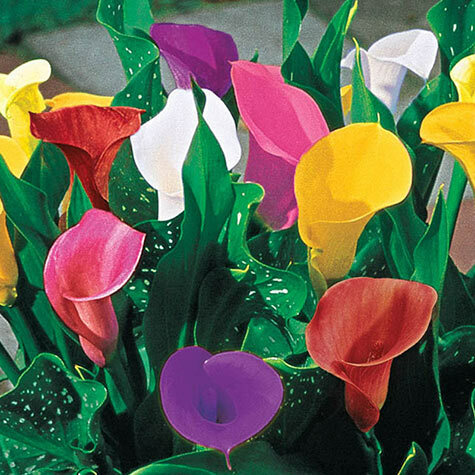 When in bloom you can cut calla lily flowers for bouquets. Comments: Bold, luxurious colors bring new life to these elegant, easy-to-grow favorites. 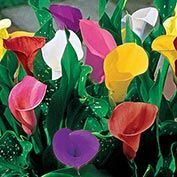 These special varieties feature the beloved, long-lasting blooms you expect from callas, perfect in bouquets, borders and containers. Colorful, long-lasting blooms lend a tropical feel to the landscape.